I was up early this morning thinking about the Arizona law, which takes effect July 29th. I wouldn’t have been thinking about illegal immigrants, but for the fact that a drunk driver hit a family members parked car last night which meant that for part of my evening it was spent with law enforcement observing their DUI process. I’ve come away with a new appreciation about a suspect’s immigration status. More on this in a future post. 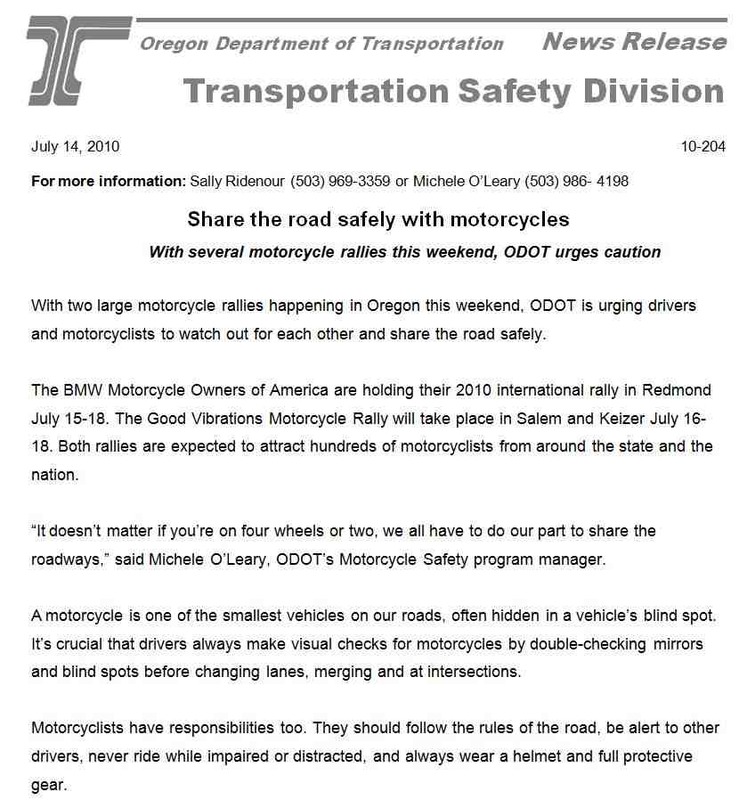 With two large motorcycle rallies happening in Oregon this weekend, ODOT is urging drivers and motorcyclists to watch out for each other and share the road safely. The BMW Motorcycle Owners of America are holding their 2010 international rally in Redmond July 15-18. The Good Vibrations Motorcycle Rally will take place in Salem and Keizer July 16-18. 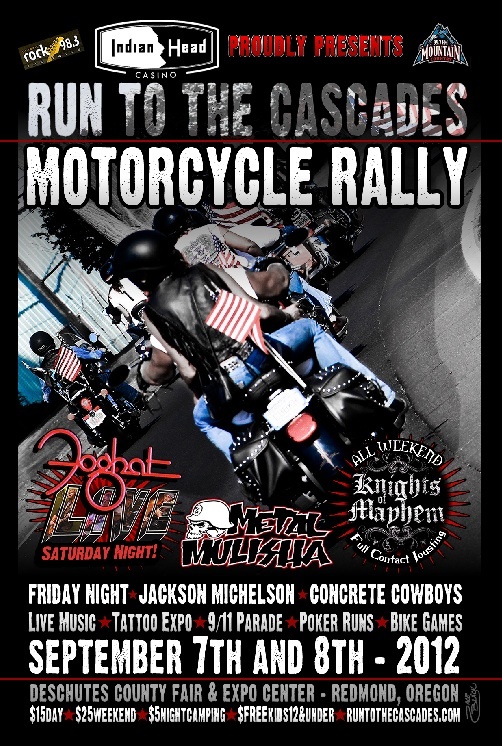 Both rallies are expected to attract hundreds of motorcyclists from around the state and the nation. “It doesn’t matter if you’re on four wheels or two, we all have to do our part to share the roadways,” said Michele O’Leary, ODOT’s Motorcycle Safety program manager. A motorcycle is one of the smallest vehicles on our roads, often hidden in a vehicle’s blind spot. It’s crucial that drivers always make visual checks for motorcycles by double-checking mirrors and blind spots before changing lanes, merging and at intersections. Motorcyclists have responsibilities too. They should follow the rules of the road, be alert to other drivers, never ride while impaired or distracted, and always wear a helmet and full protective gear. Although Oregon is far below the national average for motorcycle fatalities, in 2008, 46 motorcyclists lost their lives in crashes in Oregon. That’s far too many family members, friends and neighbors lost in often preventable incidents. Remember, motorcycles are vehicles with all of the rights and privileges of any other motor vehicle on the roadway. Always allow a motorcyclist the full lane width—never try to share a lane. Always make a visual check for motorcycles by checking mirrors and blind spots before entering or leaving a lane of traffic and at intersections. Remember that road conditions, which are minor annoyances to passenger vehicles, pose major hazards to motorcyclists. Allow more following distance, three or four seconds, when following a motorcycle, so the motorcyclist has enough time to maneuver or stop in an emergency. Don’t tailgate. Allow time and space to react to other motorists or changing road conditions. Motorcycle rider training and education save lives. TEAM OREGON offers classes for beginner to advanced riders. Oregon state will have a kaleidoscope of motorcyclists traveling over the roads the next 72 hours. Drivers might notice our tattoos, leathers and even winch at the exhaust noise, but most of all the riders will appreciate the fact that you took notice and we’ll get home safe! Update: July 19, 2010 — A early scan of the motor vehicle accident reports suggest that this past rally filled weekend was relatively safe for motorcyclists. The exception being where OSP was dispatched to an accident involving two motorcycles on Highway 20 near milepost 14. The incident was the result of a bucket which blew out from the back of a pickup onto the roadway. A 2001 BMW K1200LT motorcycle, operated by BENJAMIN JONSSON, and passenger CARA JONSSON, both age 54, from Spruce Grove, Alberta Canada was westbound on Highway 20 near milepost 14 when they came upon the bucket. BENJAMIN JONSSON was able to successfully swerve and miss the bucket. However, a 2003 BMW R1150T motorcycle, operated by FREDERICK HERZOFF, age 61, and passenger as ANNETTE HERZOFF both from Paradise City, California were also westbound traveling some distance behind JONSSON’S motorcycle. FREDERICK HERZOFF attempted to swerve around the bucket and in doing so crashed into the back of JONSSON’S motorcycle. JONSSON and HERZOFF were not traveling together. All four riders were transported by ambulance to Saint Charles Hospital in Bend. BENJAMIN and CARA JONSSON sustained minor injuries. FREDERICK HERZOFF sustained serious injuries and ANNETTE HERZOFF critical injuries. All four riders were wearing helmets. With the prospect of thousands of motorcyclists visiting Oregon roads this coming weekend could it be one of the deadliest? 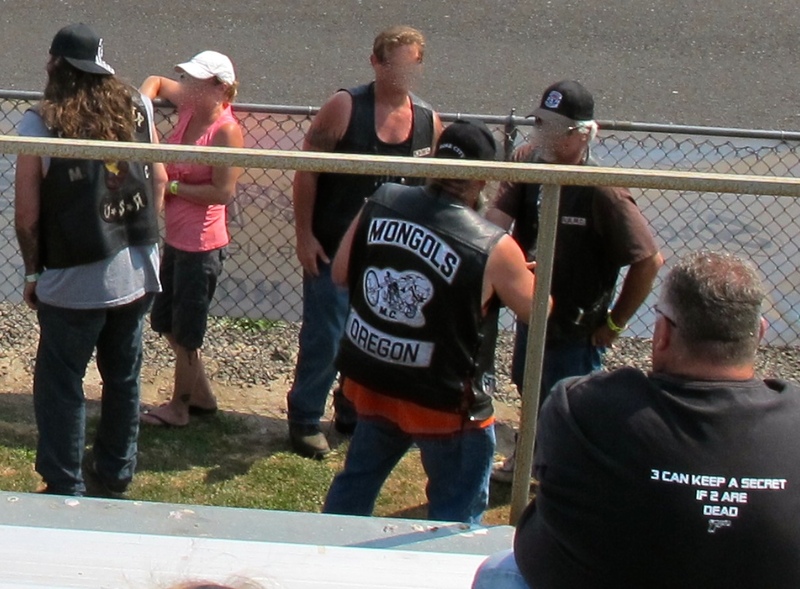 I hope not, but on July 15 – 18th two major motorcycle rallies take place in Oregon. The first is the BWM International Rally in Redmond, OR. It’s been 9 years since the BMW National Rally has been held in the state and area businesses are rolling out the welcome mat. 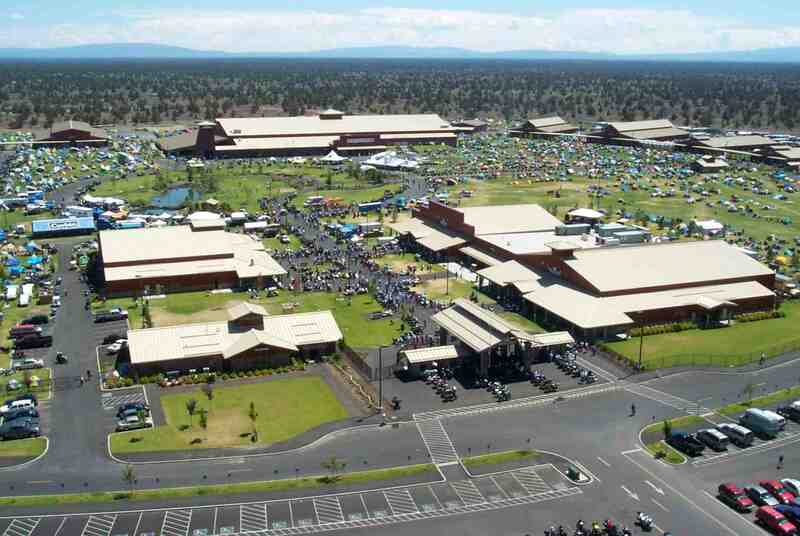 There is the Redmond 1000 long distance ride (1000 miles in 24 hours) for motorcyclists along with more than 100 vendors who have set up shop on the rally grounds. In addition, Redmond is the starting point of the 2010 Rally Coast-to-Coast. 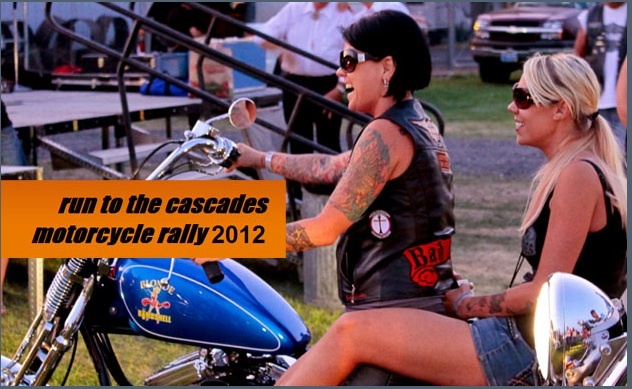 On the same dates is the Good Vibrations Rally in Salem/Keizer. Rally activities are happening at Salem Harley-Davidson, Oregon State Fairgrounds, Spirit Mountain Casino, and the cities of Dallas, Monmouth, Independence, and McMinnville. The Good Vibration event is produced by Randy Burke, President of Road Shows Inc., and is modeled after his very popular Street Vibrations Rally held every year in Reno, NV. The Oregon rally has the added value of wine tastings at Willamette Valley Vineyards and Orchard Heights Winery. Both rallies bring desperately needed tourist dollars into the state, while providing riders with some fantastic summer weather, Northwest scenery, winding roads and top tier entertainment. But why has Oregon State Police (OSP) yet to acknowledge the existent of the rallies in their media press release process? And is ODOT so heads down on pothole repair to plan a state-wide advisory to “WATCH FOR MOTORCYCLES ON THE ROAD” campaign using the variable message signs around the state? 1. On July 10, 2010, a Harley Davidson motorcycle operated by WILLIAM ROY ANDERSON, age 60, from Aloha, was northbound on Highway 97 near milepost 17 when it failed to negotiate a curve and struck a guardrail. ANDERSON was ejected from the motorcycle onto the highway and then run over by two commercial trucks traveling in opposite directions whose drivers were unable to avoid him. ANDERSON was pronounced deceased at the scene. 2. On July 8, 2010, a Harley Davidson motorcycle operated by JAMES C. HEADRICK, age 56, from Dallas, Oregon was northbound on Interstate 205 near milepost 10 when it came upon slowing traffic. The motorcycle crashed into the back of a stopped 1998 Honda Civic driven by WALID M. SALLOUT, age 28, from southeast Portland, in the left northbound lane. The motorcycle’s passenger, MELVA HEADRICK, age 61, from Dallas, was ejected off the motorcycle, over the concrete center barrier and landed in the left southbound lane. No reported deaths from this accident. 3. On June 26, 2010, a 2003 Harley Davidson operated by RAYMOND SCOTT McMAHON, age 49, from Bandon, was westbound on Highway 42 near milepost 26 followed by his brother on another motorcycle. McMAHON entered a curve too fast, traveled off the highway into a ditch and then was ejected from the motorcycle as it went airborne. McMAHON came to rest on the highway and was pronounced deceased at the scene. 4. 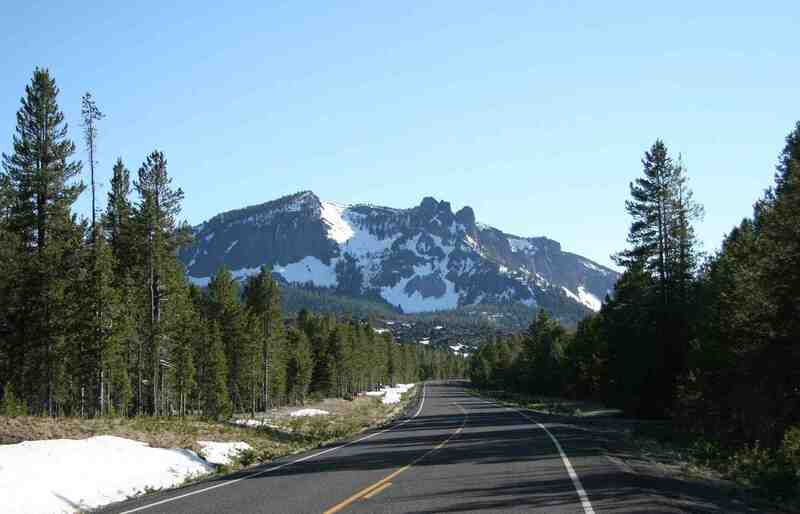 On June 17, 2010, JEFFERY DEAN RANDALL, age 39, from Klamath Falls, was operating a 1990 Kawasaki motorcycle eastbound on Highway 140E near milepost 29. As RANDALL was negotiating a left curve the motorcycle travelled on to the gravel shoulder where he lost control. The motorcycle crashed into a rock, ejecting RANDALL. RANDALL was pronounced deceased at the scene. 5. On June 11, 2010, a 2007 Honda Goldwing three-wheel converted motorcycle operated by DYRL ARNOLD SPENCER, age 64, was southbound on a straight stretch of Highway 395 near milepost 129 when it traveled partially off onto the right gravel shoulder. SPENCER tried to bring the motorcycle back onto the highway but lost control, crossing both lanes and going off the opposite shoulder where it crashed into a tree about 30 feet off the highway. SPENCER was pronounced deceased at the scene. Billboards are out on Hwy 97 and I-5 at Keizer for motorist awareness. Radio spots are currently running, bus transits have ads and print ads are running. They just printed a new motorcycle map that is being made available at both rallies. The map is full of safety messages along with some awesome riding routes,. They also have some other safety information from the advisory committee. The Chair of the Governor’s Committee (David Peterson) will be at the BMW rally evangelizing safety. There is work in process on a communication/press release for the motoring public to be aware of what’s going on. Accident information/photo courtesy of OSP.